VACCINE EFFICACY – ARE VACCINES REALLY EFFECTIVE? The effectiveness of vaccines is an important question to address. If the answer is YES – the general population should be willing to weigh the risk with the benefit and decide for themselves if it is in their best interest to proceed. If the truth reveals that the answer is NO – then we are faced with an even more important question: Why should we subject ourselves to something that presents a much greater risk to life and health than the disease it claims to prevent if it doesn’t even work? 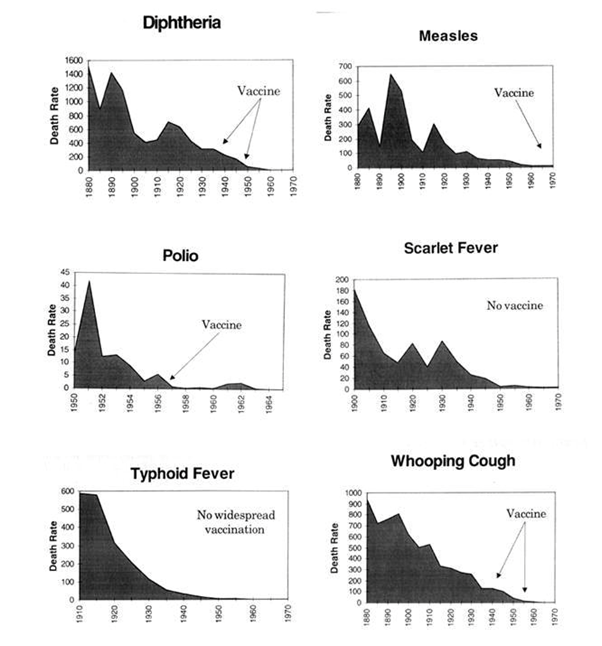 VACCINES DID NOT STOP THE SPREAD OF DISEASE. Vaccines did not save us from disease – most if not all diseases were already on the decline well before the introduction of vaccines. VACCINES DO NOT PROTECT AGAINST INFECTION. The outbreaks we hear about nowadays are often in vaccinated populations. Case in point: Mumps Outbreak at Harvard, 51 VACCINATED students infected with the Mumps. VACCINES DO NOT PROVIDE LIFELONG IMMUNITY AGAINST DISEASE. 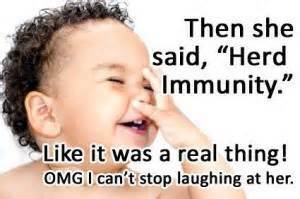 Vaccines do not create immunity. Instead, they stimulate antibody production. This antibody production may or may not translate into the ability of the body to ward off infection. Furthermore, vaccines only stimulate antibody production for the STRAIN of the virus used in the vaccine. If the virus encountered is a mutated version of the one in the vaccine, it is MORE likely that the body will be infected. The argument goes something like this: “Yes, we know that vaccines CAN cause harm in some people. 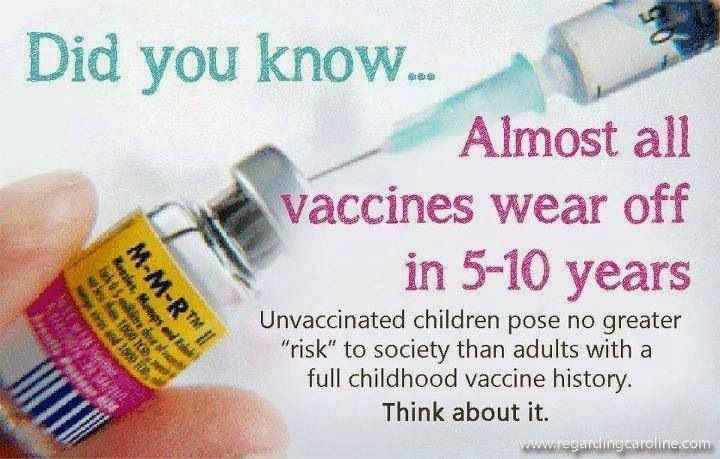 But those people are necessary to sacrifice for the “Greater Good” because they prevent disease – they protect more people from harm by the disease than the number of people injured by the vaccine. This argument is only VALID if the vaccines WORK. Vaccines DO NOT WORK! In fact, they cause more harm than goood. This argument fails because “Herd Immunity” has NOTHING to do with Vaccines! Real, true herd immunity only exists in populations that have been infected with the wild virus – once a large number of the population has been infected, the entire population is immune. 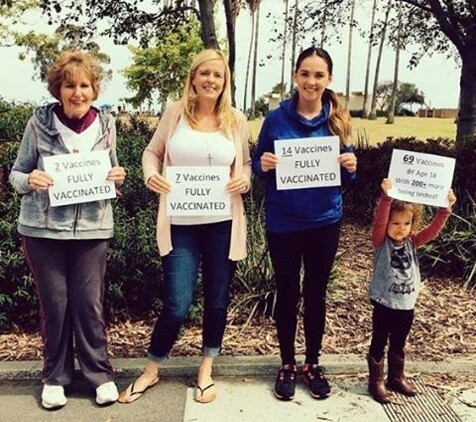 There is no way to provide herd immunity through vaccines. It is a myth. Another example of how the pro-vaccine camp has taken over the narrative and stolen the true talking points. Again, “herd immunity” only comes from actual infection of the population, NOT from vaccines. 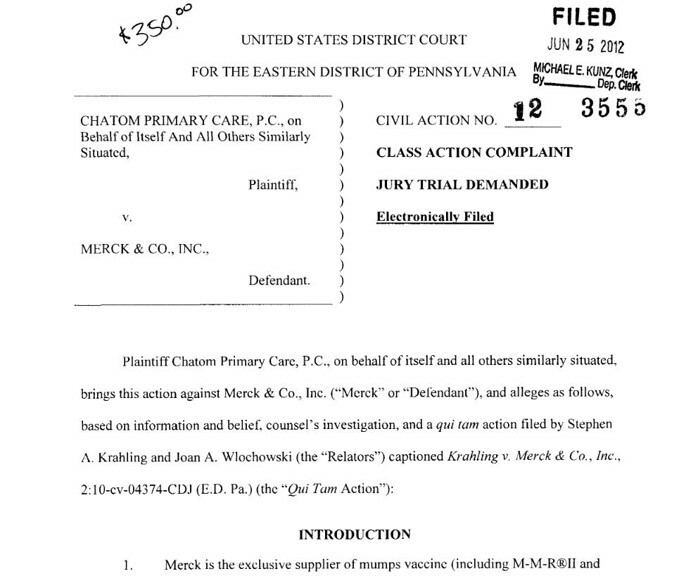 Vaccines do not provide immunity. Vaccines do not work. That is why we are told we must get “boosters” all the time. Any antibody response from a vaccine wears off over time. Vaccines have actually destroyed true herd immunity. MOST “VACCINE-PREVENTABLE DISEASES” ARE NOT DEADLY! How on earth did they succeed at turning the common childhood diseases into deadly epidemics? Measles is hardly deadly, hardly an epidemic. Most of our parents and grandparents lived through the measles, mumps and chicken pox – and acquired lifelong immunity. MMR Vaccine can and does kill. 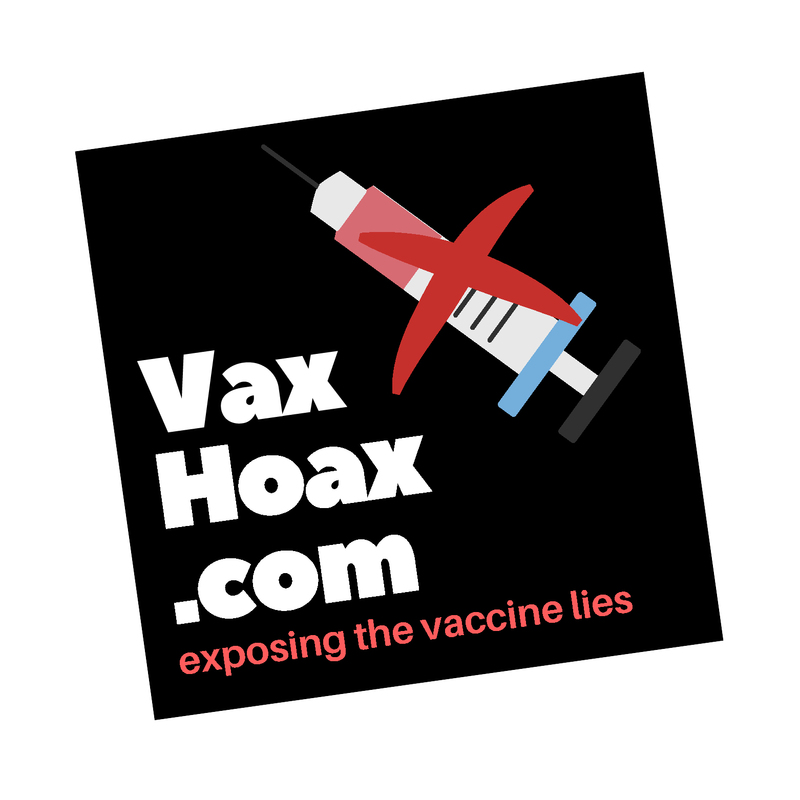 MMR Vaccine is linked to autism, seizures, and autoimmune disorders. Why would you trade a very small risk of contracting a week-long rash for a lifetime of disability or death? ASK GRANDMOTHER HOW SHE SURVIVED CHILDHOOD! Great-grandmother received 2 doses of Vaccines and probably acquired lifelong immunity from the “childhood diseases” Measles, Mumps, and Chicken Pox.